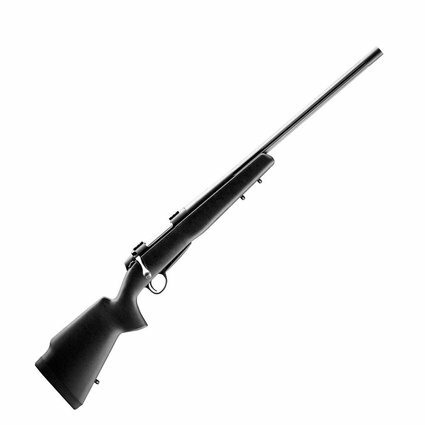 6.5 Creedmore A7 Roughtech Range Var Fl 26"
/ 6.5 Creedmore A7 Roughtech Range Var Fl 26"
The Sako Roughtech Range model is excellent for long range and varmint shooting. Thanks to its wider stock fore end, the Range model provides excellent support in prone position when shooting without a bi-pod. The Roughtech stock has a fully integrated aluminium bedding that ensures precise, rigid chassis, as well as a rough surface texture that ensures a solid grip in all weather conditions.